Chief executive officer Visvanath Das noted that FRCS is a service driven organisation, so it is absolutely critical that they have not only the technical expertise but the right skills in building relationships and trust with its partners. The inaugural Fiji Revenue & Customs Service awards night was hailed a success. 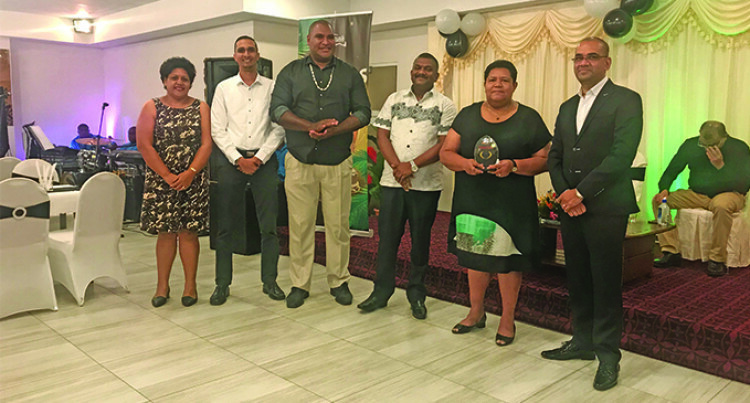 The awards was held at the Central Cuisine Restaurant & Events Centre – Laucala Bay (Sports City Complex) past Friday. Thirty-four trailblazers whose work over the years of service has helped shape the organisation and continue to guide the younger generation in the workforce were recognised. Along with two hard working individuals in the leadership award and innovation award categories with a divisional award as well. The future, Mr Das said, demands that they really understand the businesses and industries that their clients operate in, and be able to anticipate their needs and use insights from their feedback to drive and guide their development of new offerings. FRCS want to be a strategic partner to build and grow profitable and long lasting relationships with clients. However, all these goals depend on each and everyone of you here in this room and how much you want to take us to the next level.